Need resources and expert advice to move your art career forward? 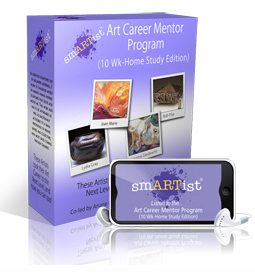 With 49 art career authorities and 74 topics to choose from, the smARTist Store prides itself on being super affordable and the most complete library of visual, art career resources online. Click here for audio presentations from art career experts on "How to Get More Visibility" for your art. Click here for audio presentations from art career experts on "How to Get More Recognition" for your art. 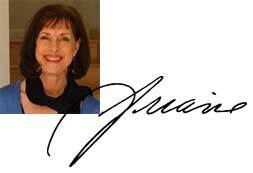 Click here for audio presentations from art career experts on "How to Sell your Art". ​Once a week for 10 weeks, you get a virtual library on how to build and maintain your art career over the long haul. Step by step – Geoffrey Gorman and I leave nothing out of this training. "Newfound Confidence And Invaluable Knowledge"
As an emerging artist, who didn’t know where her career was headed, I’ve spent many restless nights not wanting to wake up the next day, fearing the future. I received much more than I expected from the smARTist presentations, and feel that my time and money were well spent. And please... Let me know if there is something you want or need that isn’t here, and I’ll move heaven and earth to get it for you! Click here to ask me!